Hi everyone, Cal here with Tuesday Stretch. 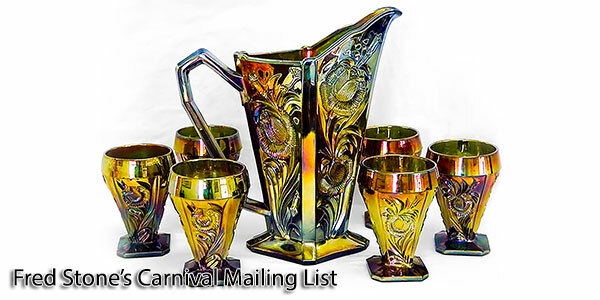 It seems like there are carnival glass auctions everywhere. Every once in a while a piece of stretch glass shows up in one of those auctions and, of course, every now and then stretch glass shows up in other auctions. A few weeks ago I went to an auction where they sold quite a bit of stretch and carnival glass. 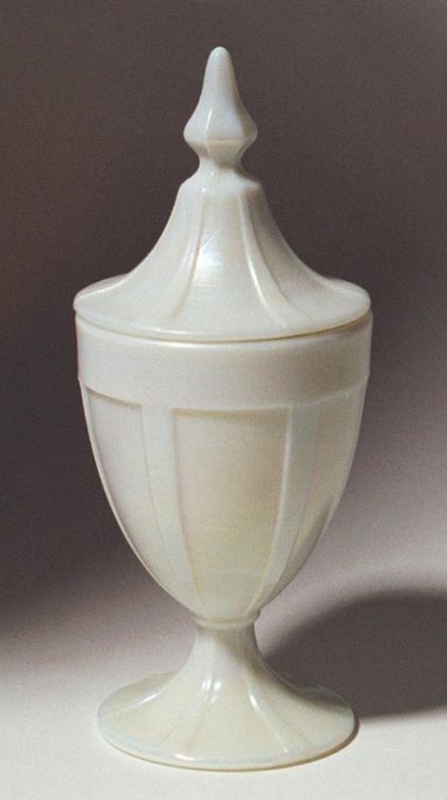 The piece of stretch which caught my attention was a Northwood Opaque White ½ # #659 candy jar. 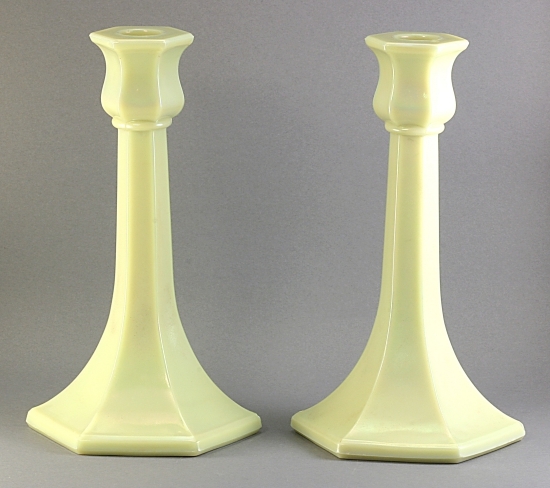 As you probably know, Northwood made a very limited amount of Opaque White stretch glass. 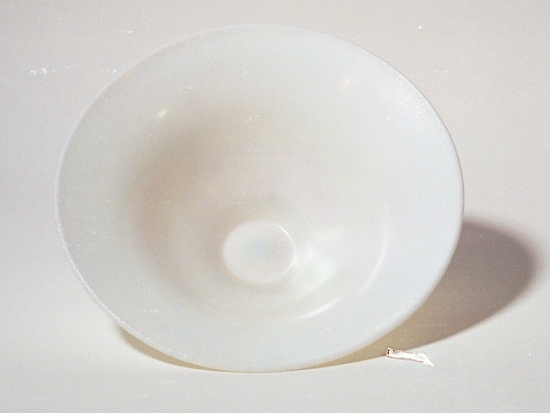 The glass looks similar to milk glass with a light iridescence on it. 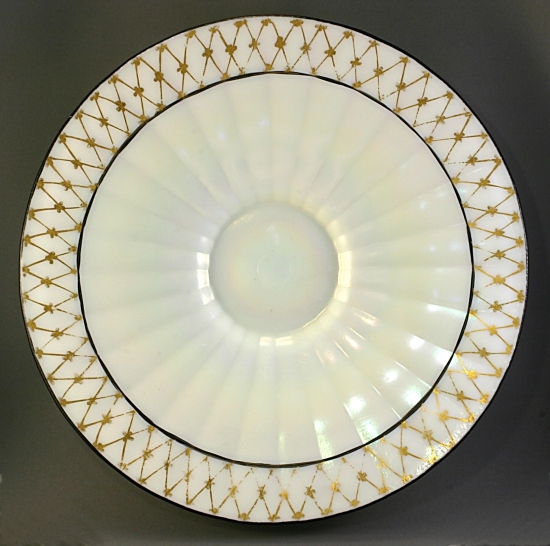 Many of the Opaque White stretch glass pieces are hand decorated with gold and/or black paint. The designs are generally geometric and must have required both significant time and talent to complete. As you can see in this photo, the candy jar I purchased has no decoration at all. I was thrilled to purchase it even though it isn’t decorated. There are other pieces of Opaque White stretch glass known. 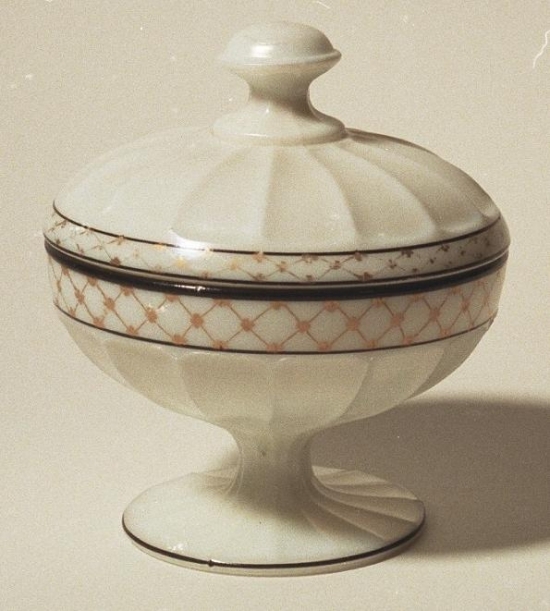 These include the #643 covered bonbon with black and gold decoration. This is pictured in American Iridescent Stretch Glass by Madeley & Shetlar. 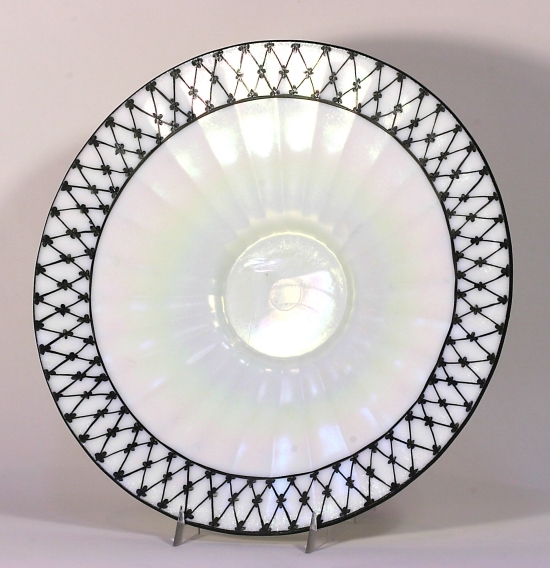 Also known is the plate with 28 optic rays, measuring 11 ¾” wide. The plate has wonderful decoration on it. I acquired this from the late Bill Crowl. I don’t know where or when he acquired it, but I was happy to add it to my collection. There is a second plate known with different decoration. 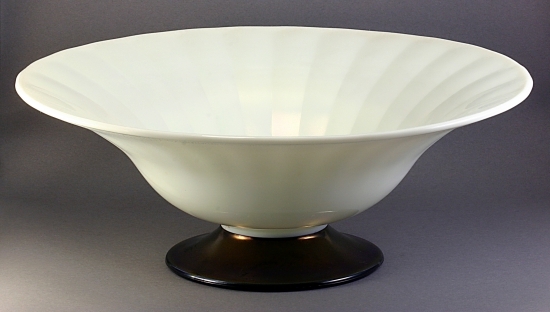 There are a few bowls known in Opaque White. One of them is included in AISG in plate 542. It is bowl #678 and has an attached black foot. Like the plate I just mentioned, it has 28 optic rays and measures 12” wide. Another bowl known is #692, which is flared and straight sided. 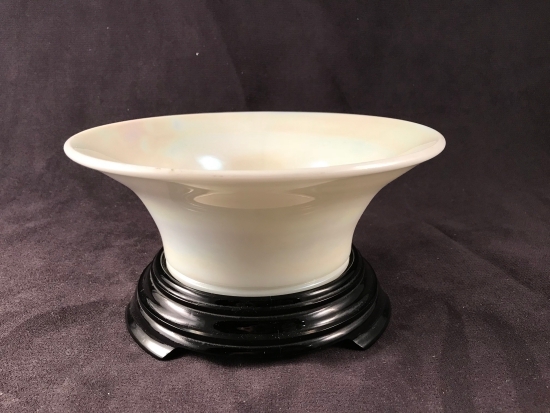 Finally, one of the #620 flared bowls recently showed up for sale at the Stretch Glass Society Convention and I was able to add it to my other Opaque White pieces. Opaque White is not to be confused with Northwood’s Custard stretch glass, which is a much different color as you can see in this photo. While quite a bit more Custard stretch glass is known in comparison to the known Opaque White stretch glass, Custard stretch glass is still challenging to find. We would be interested in hearing about the Opaque White iridized glass you have. Hopefully we will discover more items made by Northwood and possibly some made by another company.